Broken Social Scene have released their first new song in seven years. Entitled “Halfway Home”, the new song follows the band’s critically acclaimed 2010 album Forgiveness Rock Record and is a welcome return from the Canadian collective. Broken Social Scene performed “Halfway Home” live for the first time last night on The Late Show With Stephen Colbert. 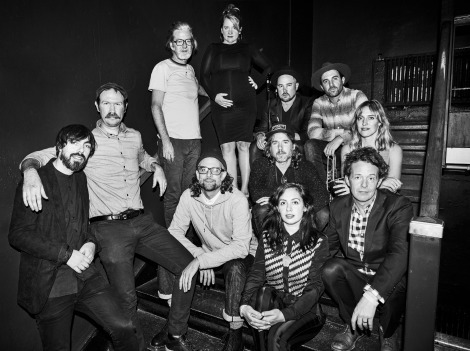 The performance included band members Kevin Drew, Brendan Canning, Justin Peroff, Andrew Whiteman, Charles Spearin, Sam Goldberg, Ariel Engel, Metric’s Emily Haines and Jimmy Shaw, Stars’ Amy Millan and Evan Cranley, David French, and Dave Hodge.